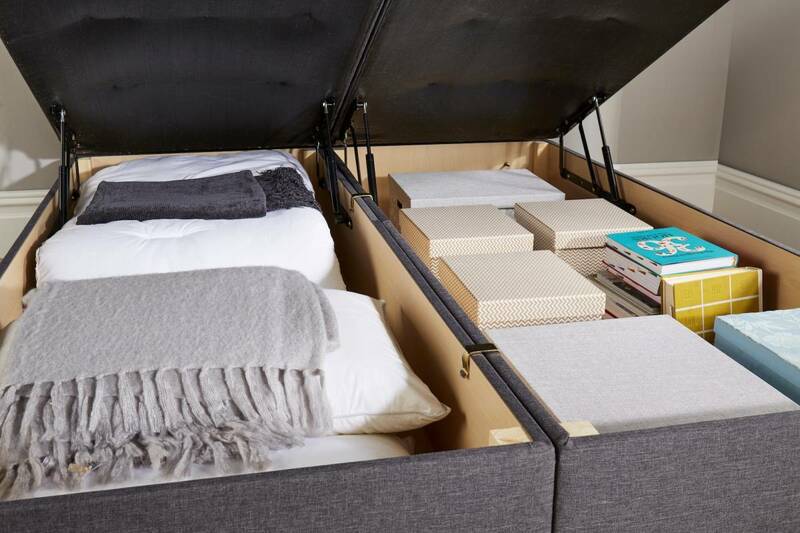 Our John Ryan Ottoman bases are perfect for those who need the most storage space from their mattress base. 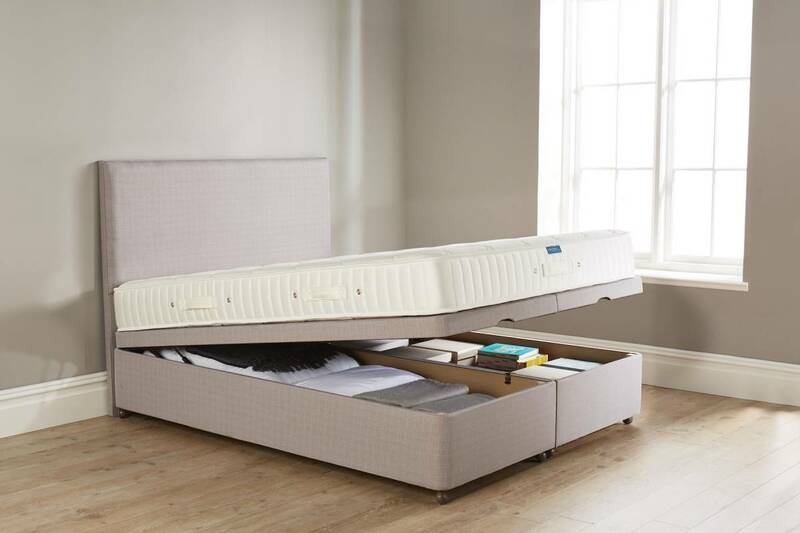 With a front lift construction method, supported by high-quality gas struts, it enables you to lift the entire mattress up and utilise the significant storage space beneath it. The depth of the ottoman storage is 25cm or 10″. The height if the base is 40cm including castors. We make ottoman bases in single, double, king and superking sizes. We, unfortunately, don’t offer these in any bespoke sizes at present. Our Ottoman bases are platform top bases. This means they don’t contain springs and are a solid base for the mattress above it. 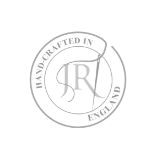 With some models, such as the Artisan Range, this may firm up the feel of the mattress slightly. 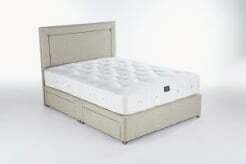 If you need more assistance please call our team on 0161 437 4419 to discuss the feel of the mattress if paired with this base. Our Ottoman bases feature heavy duty 800 newton gas struts to enable the mattress and top of the base to be lifted up easily. 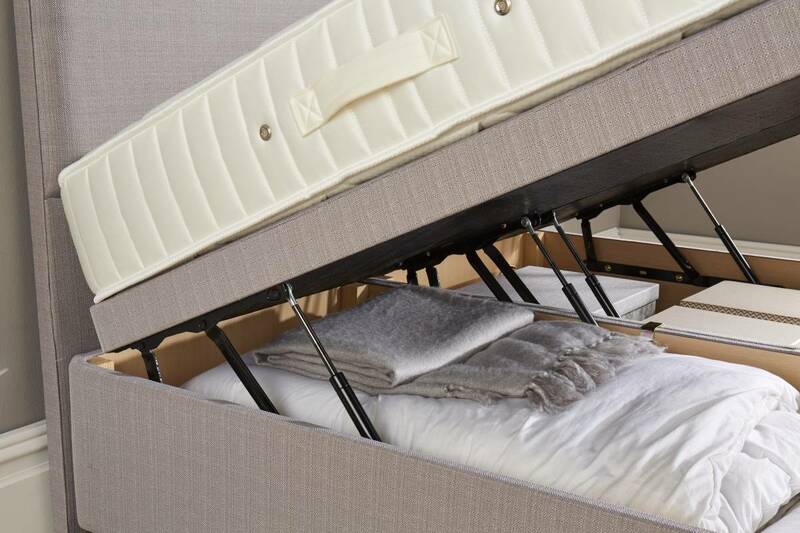 Given the weight of our handmade mattresses heavy duty struts are essential to ensure ease of operation and the longevity of the Ottoman base. These gas struts are fixed with strong welded brackets. We always advise care to be taken when lifting a mattress or Ottoman. This platform top Ottoman comes with large amounts of storage given you can utilise the entire space beneath the mattress. There is 25cm of depth to the base when the mattress is lifted. Double sizes and above will arrive as two separate base components that are joined by strong metal clips. This ensures the base is completely robust, other cheaper mass produced Ottomans come as a one-piece in larger sizes. This means that larger bases can be delivered even if restricted access rooms.